ArtHamptons July 13- 15, 2012 at Nova’s Ark Sculpture Field in Bridgehampton features $200 million worth of art: 3000 post-war and contemporary works from 80 galleries from 10 countries. Tongues and tails were wagging over artist and showman Kevin Berlin’s “Tiger Training For Beginners” where art, the cause of tiger conservation in the wild, and four gorgeous naked girls painted with stripes meet. The tigers, Jenni from Texas, Tessa from Sag Harbor, and Ksenia and Alina from Siberia said it’s the artists job to raise important issues, and they are literally putting their bodies on the line. Her theory is to have pieces which run the spectrum from Nicolas Pichon’s Big Stories at $1,900 to Renaud Delorme’s La Fille Gucci for $23,700 a clever layering of film cans, tennis balls, and toys to create a girl’s face. 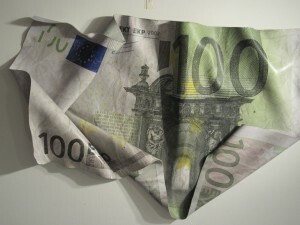 With the European galleries increased participation, the question arises – is the dollar or the euro faring better. 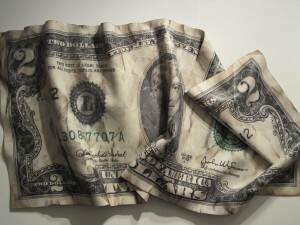 Well in terms of artist Paul Rousso, his sculpted dollars and euros are the same price — namely $16,500. Paul Rousso of the Arcadia Fine Arts Gallery in SoHo uses heat infusion on plexiglass to mold the “bills.” Arcadia’s Sergio Barrale notes that money is not only currency but a piece of art with portraits of famous people and infused with ancient symbolism. In this case it is art which buys art. It’s a happy birthday to Cheech Marin honored as Arts Patron Of The Year. 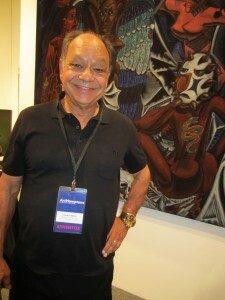 Aside from his musical fame, he has one of the finest collections of Chicano art in the world. “My goal is to bring Chicano art to the forefront of the art world,” he stated. 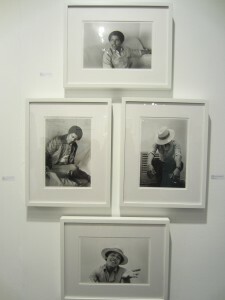 He has personally curated the work at the Thomas Paul Gallery booth. If you want a fresh look at politics, check out “Barack Obama The Freshman +1” photographs by Lisa Jack at the Mark Borghi Fine Arts booth. You wonder if he can remember those happy care-free days. 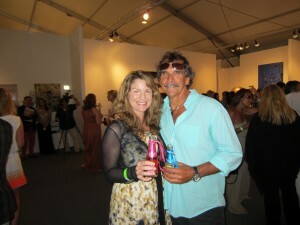 We personally found a great way to enjoy the art is to stop into the Hamptons Cottages & Gardens VIP Lounge and pick up a his and hers mini bottle of Nicolas Feuillatte champagne and go explore. Throughout the weekend there are special events and seminars on investing, collecting, and appreciating art. 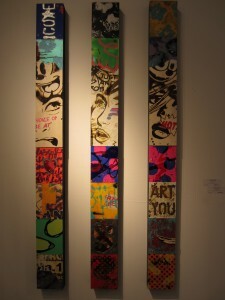 Check out the full line up at www.arthamptons.com.